Love to the Big Easy! 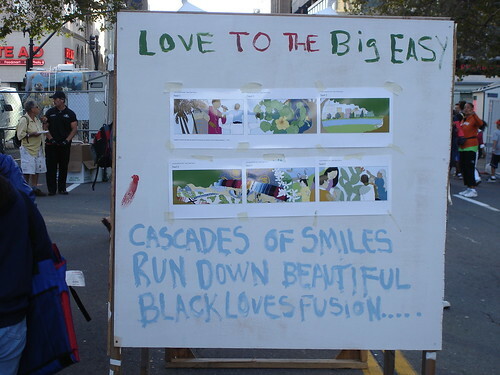 Love to the Big Easy!, originally uploaded by in2jazz. We open up our hearts and send big love and open arms to the Big Easy. I am looking for a way to make a difference beyond making a donation. If you know of any causes here in the San Francisco Bay Area, please leave me a comment or email me. This entry was posted on Monday, September 5th, 2005 at 10:12 am. It is filed under Special Feature. You can follow any responses to this entry through the RSS 2.0 feed.